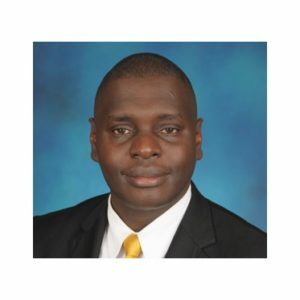 Mr. Anthony Okoth, is currently the Kenyan Country Director of PATH Kenya and previously was the Chief Executive Officer of Population Services Kenya, where he served as the Chief of Party on the USAID-funded Health Communications and Marketing Program. He has over 23 years of experience in public health programming and medical sales for HIV and AIDS, Tuberculosis, Reproductive Health, Malaria and Nutrition from Commercial and Non-profit sectors across the continent with direct engagement with Key donors such as the Gates Foundation, DIFD and USAID. Antony holds a Master of Business Administration in Marketing from Daystar University – Nairobi – Kenya, a Post Graduate Course in Project Planning and Management from the University of Nairobi, a Diploma in Pharmacy, BSc in Biological Sciences and a certificate in Strategic Perspectives in Non-Profit management from the Harvard Business School. He has the privilege of sitting on several governance boards where he is the co-founder member of the Kenya Health Leader’s Forum, that brings together 13 leading organizations which contributes over $180 million annually to the health sector in Kenya through several bilateral agreements. Anthony plays a lead role in driving the Public Private Partnership (PPP) agenda in Kenya through the Kenya Health Federation (KHF) where he chairs the PPP Committee which hold regular engagements with the private sector, Civil Society and Government to address equity and common market failures.